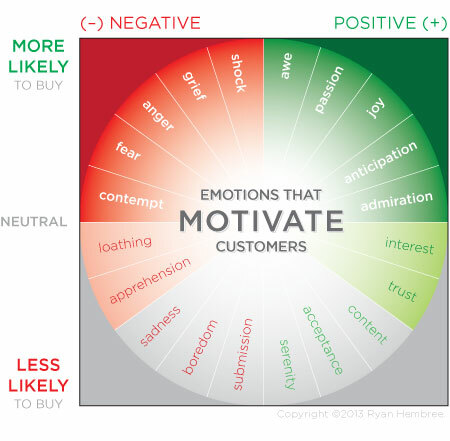 What motivates people to buy a product, service or offering? It turns out that effectively engaging with customers requires getting emotional about your brand and with your branding—literally. When feelings are at the core of marketing messages, they are more relevant to customers—and in turn, using emotions motivates them to believe in and buy your brand. According to Jonah Berger, author of Contagious: Why Things Catch On (Simon & Schuster, 2013), “focusing on feelings” allows brands to tap into customers’ emotions and make them care about your brand. Berger observes that when people care about something, they will talk about it with their friends, colleagues, and others; this ‘word-of-mouth’ marketing is one of the most effective and powerful forms of marketing.